During the days that King Herod rule, there was a man named Zacharias. Zacharias has a wife named Elizabeth. Zacharias and Elizabeth are very old and they don’t have any children. It happened that Zacharias was performing his priestly duty at the temple of the Lord and the angel of the Lord appeared to him. When Zacharias saw the angel, he grew afraid. The people were waiting for Zacharias outside the temple and wonder why he took so long. When Zacharias came out, he made signs to the people. They realized that Zacharias couldn’t speak. 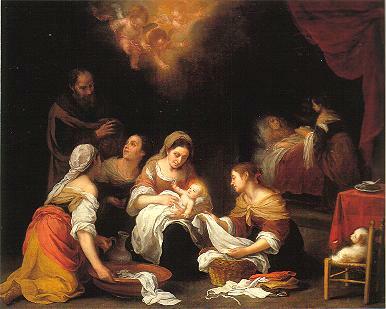 Elizabeth was pregnant as the angel told Zacharias and she gave birth to a son. When their relatives asked what name should be give for the baby boy, Elizabeth told them she wants to name her baby John. But they said that there is no one in the family called John. Then they asked Zacharias. And Zacharias wrote John on the paper. Thus, the baby was named John.